As a newly elected board member of the Kentucky Paint Horse Club, I was excited to help alongside my fellow club members this past weekend at the Spring Paint-O-Rama held in Frankfort, KY. This show was unique for me in that I wasn’t competing, and was on the opposite side of the in-gate helping horses and riders file in and out of their classes and overall making sure they enjoyed their show experience. 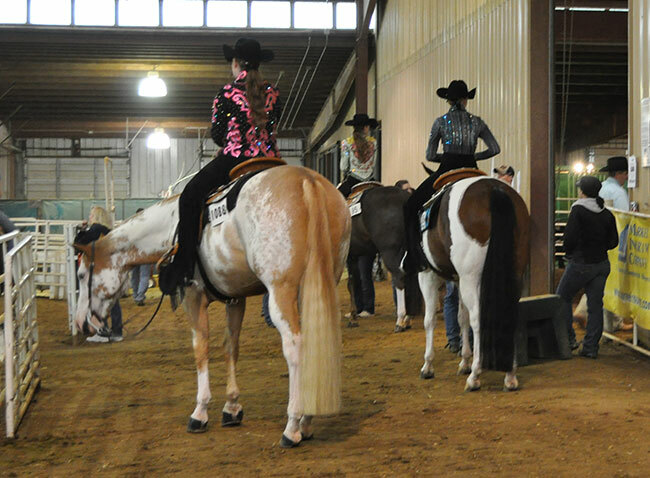 I knew that the show would bring big numbers as this very same spring show last year was among the biggest APHA shows in the entire country. It was the 7th largest show of 2012 and 2013 did not disappoint!! The numbers were up even from last year providing full pointed classes in almost all open, amateur and youth classes throughout the weekend. 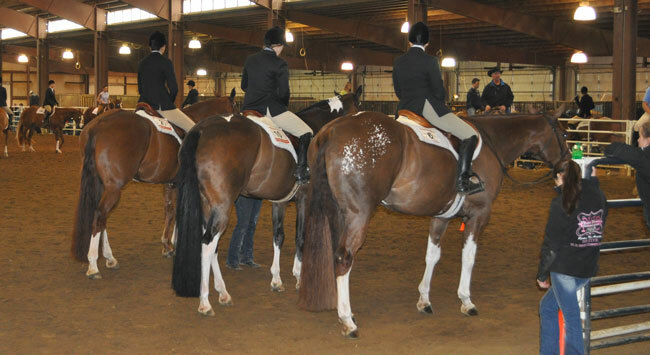 Exhibitors traveled with their trainers from all over the country. I met riders and trainers from Texas to Georgia to Delaware. For many of them this was their first show out for the season, however you wouldn’t know it from the stiff competition brought by all. (1) it is not easy to keep all of the moving parts running smoothly and (2) wearing comfortable insoles in by boots will be essential for the next show in order to be able to walk on Monday :-). Can’t wait for the KYPHC October show!